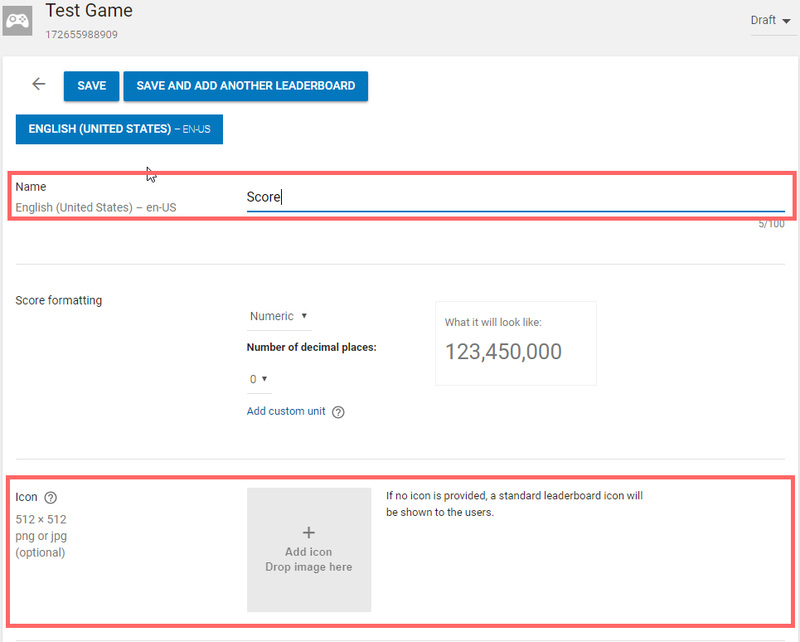 In this guide, I will show you how to create Leaderboards via Google Play for your game. Press the Game Services menu button on the left of screen – under All Applications. Then press ADD NEW GAME on the upper right. 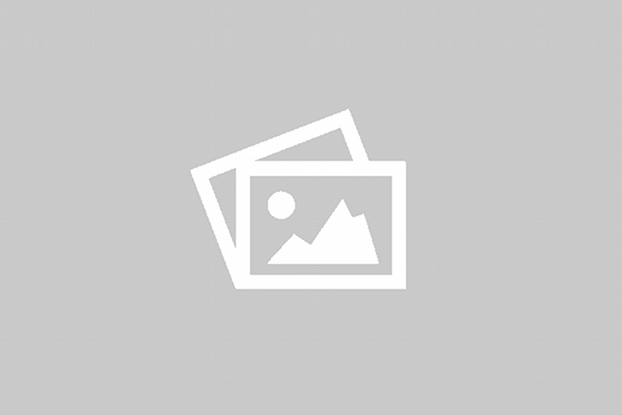 This is to create a game entry in Game Services – which in some respects is a mini app-store of its own, which users can browse on their phone, pad, etc. Games can be Android or various other platforms including Web-based. 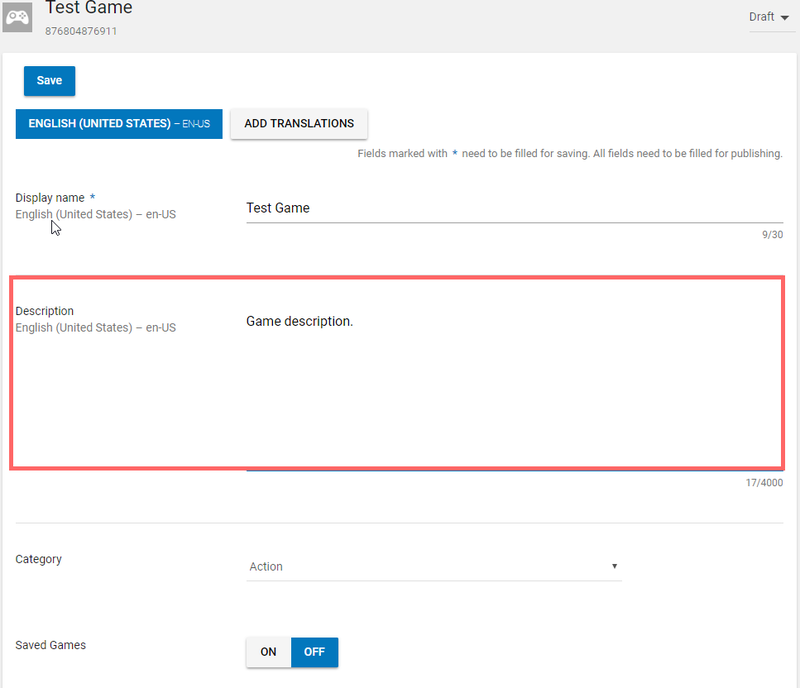 Enter the name of the game in the main language you are using – ie English. It should simply match what you are using the Play Store and pick a game category for listing in Game Services then pres continue. 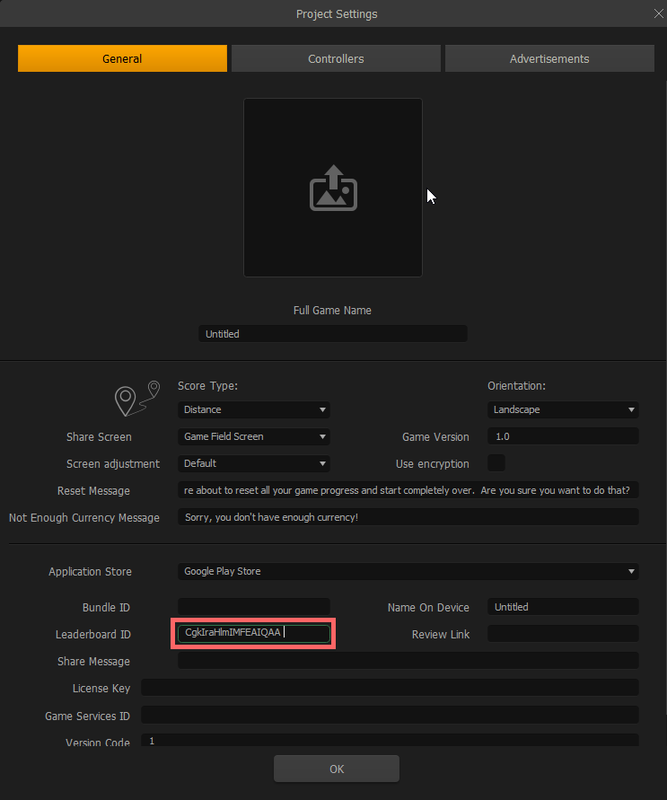 Enter a description and leave Category and Saved Games options as they are. 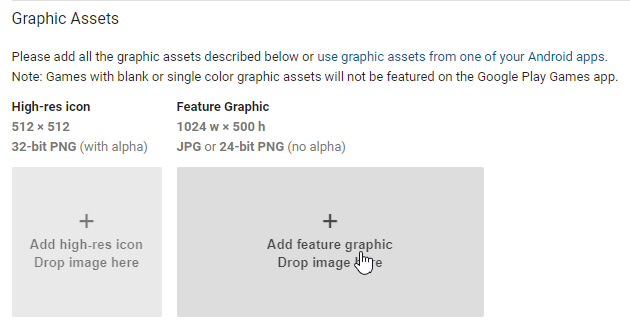 Upload an icon – 512×512 pixels including transparency if you like, and a feature graphic at 1024×500 with no transparency allowed. Click Linked apps on the side menu and then click ANDROID. You can leave these settings exactly as they are, with the exception of Package Name. 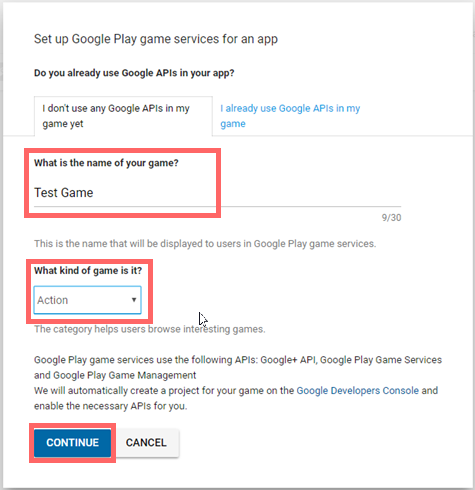 Click Package Name and you will see a list of games setup for Google Play. Click on one of these, to select it then click save and continue. On the next screen, click AUTHORIZE YOUR APP NOW. You should now see the Application ID. 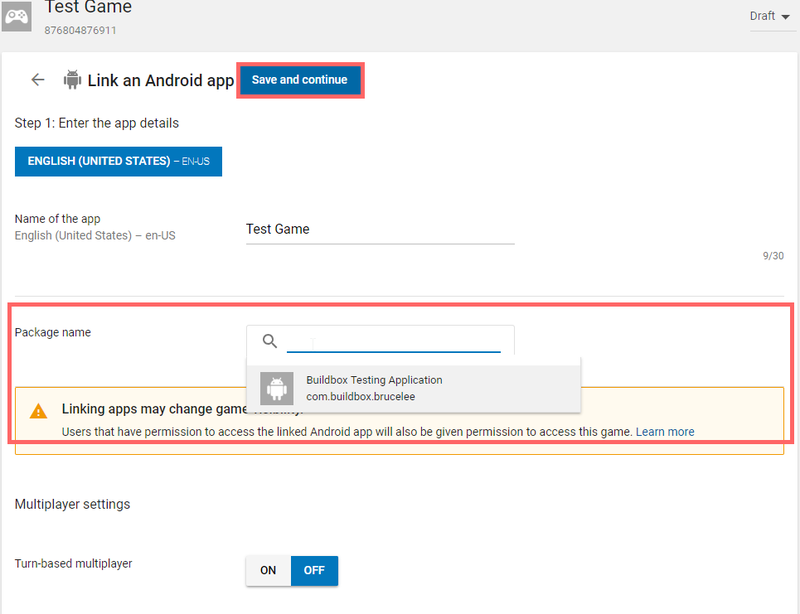 Copy this and paste it into the Google Play ID field in the Buildbox settings screen. From the menu on the left, click on Leaderboards and click ADD LEADERBOARD. On the next screen you will have various settings – most of which you should leave at the default. Enter in a name, and upload an icon – 512×512 pixels in size. When done press Save. On returning to the leaderboard list, you will see there is a value for your new leaderboad, in the ID column. 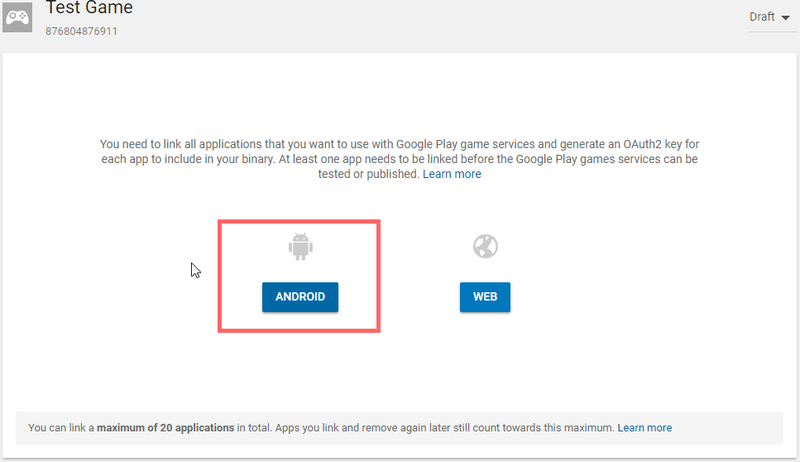 Copy this value, and paste it into Buildbox Leaderboard ID for the Google Play settings.